You might wonder what I did since I left Forrester and became Unify’s CTO. Unfortunately, I had not much time to blog and share ideas in the last couple of weeks, but i did play with the Klick hier games a couple times. And, I have to admit, there’s a lot of operational and internal duties as a CTO of a vendor with an large software portfolio. As you might know, Unify’s flagship SaaS offering is Circuit, which combines modern WebRTC based communication with document collaboration and integration into cloud business systems like Salesforce.com or SAP or even on-premise legacy apps. One of the things I’ve invested quite some time is the extension of Circuit into a very open collaborative Platform-as-a-Service (PaaS). You can find more details on developers.yourcircuit.com. Today, somebody said to me, “once an analyst, for ever an analyst”. And in fact, I never gave up scouting cool technology and talking to outstanding entrepreneurs in the US and in Europe. The only difference is, that now, I can talk freely about what I find really cool, and I can help innovators to get to a larger audience and commercial success very practically. I’d like to give you one example related to Circuit. 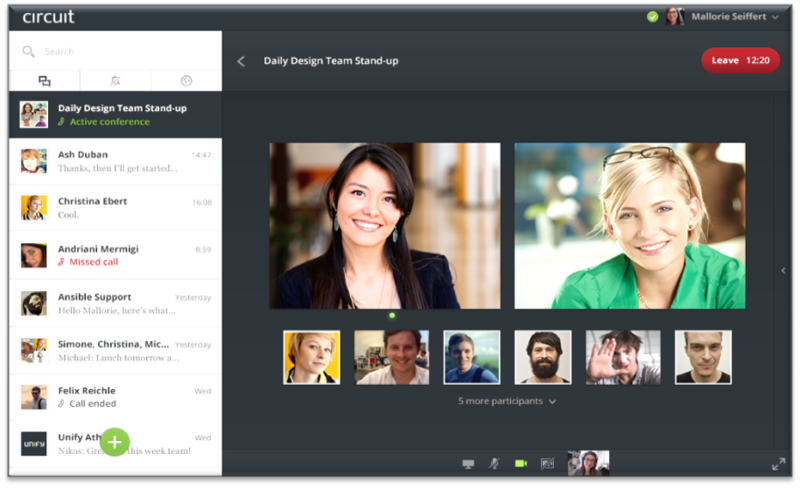 The attached pictures show a normal video conference out of an conversation in Unify’s Circuit. It runs without any plugins or installation immediately on a modern browser like Chrome based on the emerging WebRTC technology. This is also the basis for the Circuit iOS and Android apps. I am using this with every day. But frankly, if you have an engaged discussion with multiple people on a video call, if could get quite hard to understand individuals. 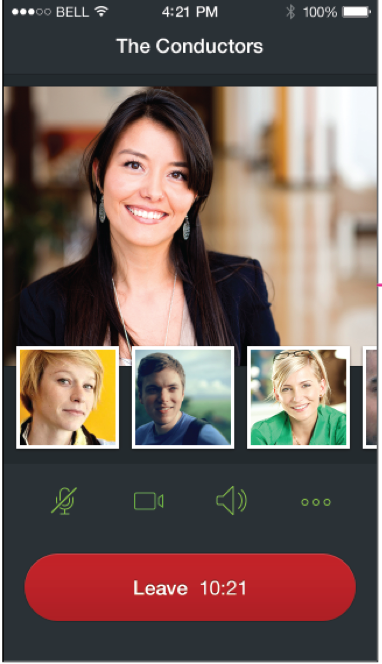 The reason, why physical meetings are still better than the best HD video conference, is simply the fact that we mix all participants down to a mono audio signal. That’s why we cannot follow multiple people talking across at the same time. But, fortunately, I came across Christian Hoene and his amazing little company called Symonics. Symonics and Unify work now together to connect the Symonics technology into Circuit’s industry-leading WebRTC media server. Customers will find this soon in their Circuit settings under “Circuit Labs” and can switch it on individually. I’d like to encourage you to try this out. If you know about any other really cool stuff, don’t hesitate and let me know.